Since its inception almost 29 years ago, the Fiji Labour Party has strongly advocated and championed the rights of women. Indeed, the FLP is a trend setter in ensuring active and equal participation of women in positions of leadership be it in the political sphere or the private sector as the party strongly believes in giving women equal opportunities in leadership, including empowerment in the political decision making processes. FLP certainly walks its talk. Subsequent to the first presidency of former Prime Minister, Dr Timoci Bavadra, one of the founders of the Party, FLP Presidents have always been women. Adi Kuini Vuikaba succeeded her late husband as Party President but left after she re-married Clive Speed. Later, in 1999, she was appointed Deputy Prime Minister in the Chaudhry Cabinet and Minister for Fijian Affairs. The late Mrs Jokapeci Koroi, a trade unionist and former FLP Senator was elected to the FLP presidency in 1991. She is today remembered as the longest serving FLP President and the “Mother” of the Party. Mrs Koroi was a founder member of the FLP and served as one of its vice presidents until she took over the presidency. She earned a reputation as a lady of tough resolve, was exceptionally disciplined and showed a no-nonsense approach to issues and Party matters. Mrs Koroi was succeeded by the current President Mrs Lavinia Padarath who is also a founder member of the Party. Mrs Padarath a long serving FLP Senator and MP, served as Minister for Women, Culture and Social Welfare in the 1999/ 2000 Labour-led government. In that government, FLP set another national record when it appointed five women to the Cabinet and three women to the Senate. The FLP notes that other political parties have now endorsed women as their party heads ie Ro Teimumu Kepa for SODELPA, Linda Tabuya for PDP, Tupou Draunidalo for NFP and Dr Jiko Luveni for the proposed FFP. It gives us an interesting political landscape with the five women heads taking the frontline in the electoral battle shaping up for September. 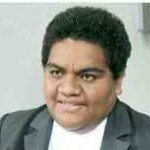 This ascension to political leadership by women in Fiji indicates a growing national awareness that women have an important role to play in the political and economic arena, not just in the home. Considering that women constitute 50% of the country’s population, they may be seen to be underrepresented in the decision making process. 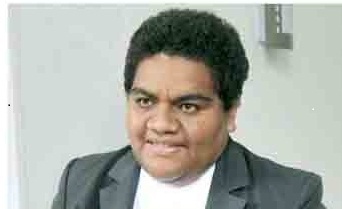 But current developments reflect the significant strides women in politics in Fiji have made since Adi Losalini Dovi became the first woman to be nominated a member of the Legislative Council. She was later elected to the House of Representatives in 1972 and remained an MP until her demise in 1983. She was the first woman assistant Minister for Urban Development, Women and Social Welfare. 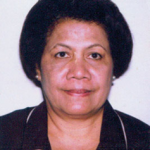 One remembers other prominent women ministers who have indelibly left their mark on Fiji’s political scene: the late Irene Jai Narayan a long serving Opposition parliamentarian with the National Federation Party renowned for her tough approach to politics. She served as NFP President from 1976-79. Later, she defected to the Alliance and was appointed interim Minister for Indian Affairs 1987 – 92 in the military regime and later the post-coup administration. 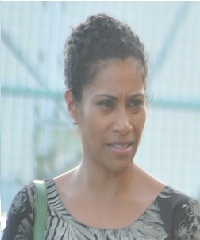 Another prominent woman in Cabinet was Taufa Vakatale. 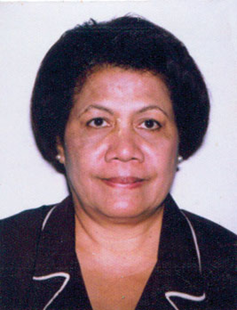 She became Fiji’s first woman Deputy Prime Minister 1997-99 in the Rabuka Cabinet and served as Minister for Education 1993-95. Ms Vakatale made her mark as another tough politician who would not compromise on her principles. One remembers that in 1995 she lost her Cabinet position because of her strong opposition to French Nuclear testing in the Pacific. All these women carved a niche for themselves in an environment dominated by men. They stand as testimonies to the contribution women can make to society in all spheres of public life, if they are determined to do so. Fiji Labour Party remains true to its principles of gender equality and assures the women of Fiji that it continues to support women empowerment. Our commitment is not only to encouraging women in politics. FLP record shows that it has always stood against gender discrimination, and been sympathetic to the plight of women struggling as single wage earners to provide for their families.